Have you ever heard of wardriving? It’s the act of searching for and mapping Wi-Fi networks from a moving vehicle. It’s a really cool way to create a map of the wireless signals in a certain location. It might look complex, but all the products he used are freely available to anyone. The concoction combines a 50,000 mAh battery, a Raspberry Pi 3, an Alfa Wi-Fi module and a GPS module, held together with a few rubber wristbands. 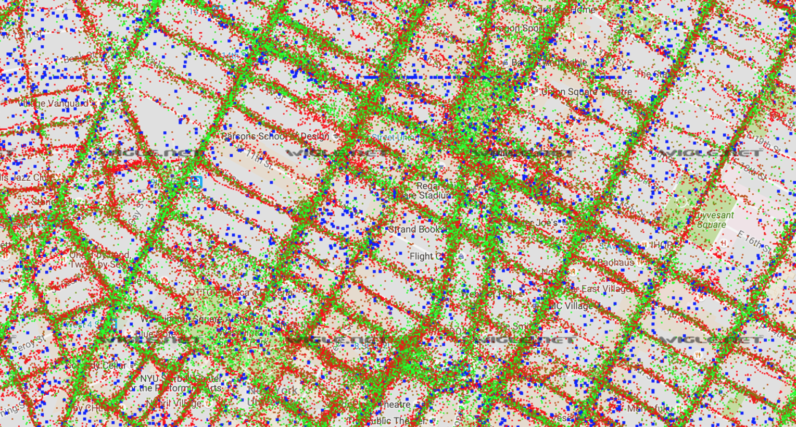 Then, by simply connecting to software on his laptop, he was able to map Wi-Fi connections throughout his entire town. When you’ve got the data, consider uploading it to Wigle, a crowdsourced map of access points from all over the world. It’s an impressive project that beautifully shows the sheer amount of wireless networks surrounding us. If you’re interested in trying out wardriving for yourself, make sure to check out Scott’s posts about the subject. You’ll need a bit of technical knowledge to get everything up and running, but it’ll be well worth it.